Leisure Select is renowned for giving equal attention to form and function. 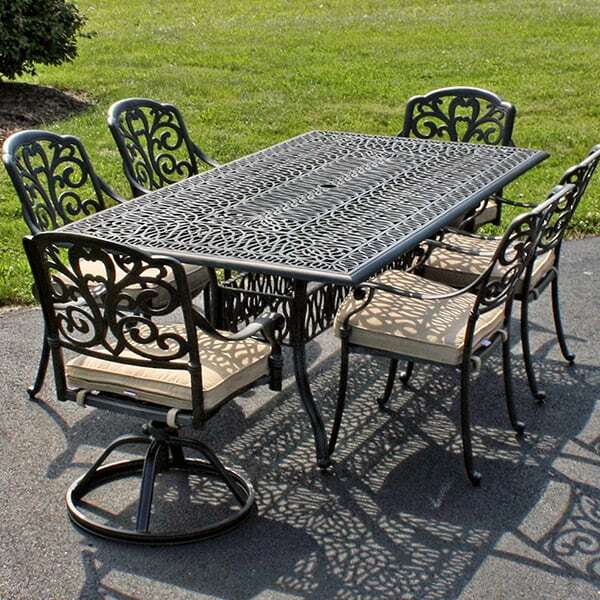 Each piece of furniture in this Dining Set is made with cast aluminum. Aluminum is the most common metal in the Earth's crust, and because of its toughness, it has expansive history of use in engineering. Family Leisure has adopted the element for this furniture set, as it is highly resistant to corrosion and rust. You don't want to bring your outdoor furniture indoors after every use. 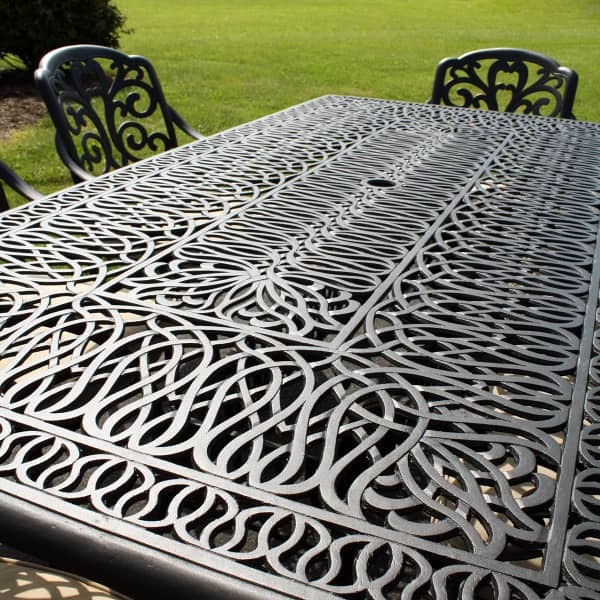 This cast aluminum set means you don't have to! 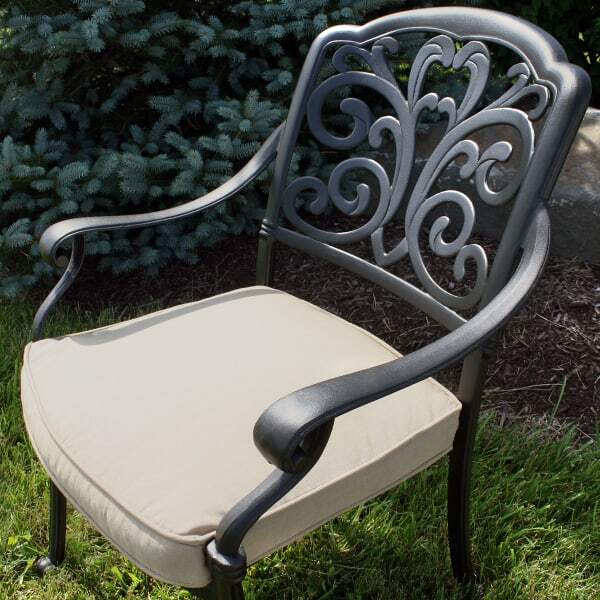 But, when you are ready to take it in for the winter, or if you want to shift with the rising and setting sun, the cast aluminum material makes the chairs and table easy to move. Each chair is cushioned and the cushions are covered in Sunbrella fabric and fasten securely to the chair frames. Sunbrella fabric is an industry favorite, known also for its resistance to outdoor elements and party fouls. 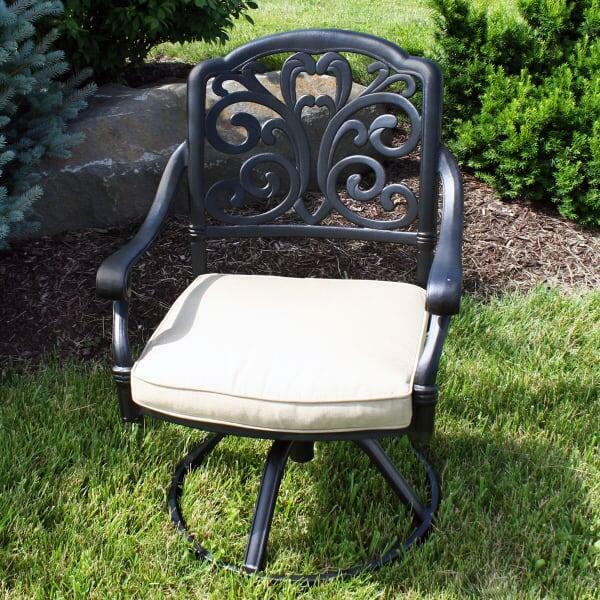 Four of the chairs are stable, and two of them both rock and swivel for mobility and comfort. There is an open table for six just waiting for the family who requires trustworthy style, comfort and value found only at Family Leisure.